This post is part of the Creative Christmas Blog Hop with Teresa at Crafty Wife. Happy Holidays! It's hard to believe it's that time of year again! If you're anything like me, you are probably running frantic - planning meals, shopping for gifts and making last minute travel plans. Today I'm sharing a tutorial that should help cut down on your gift-giving stress for the season. 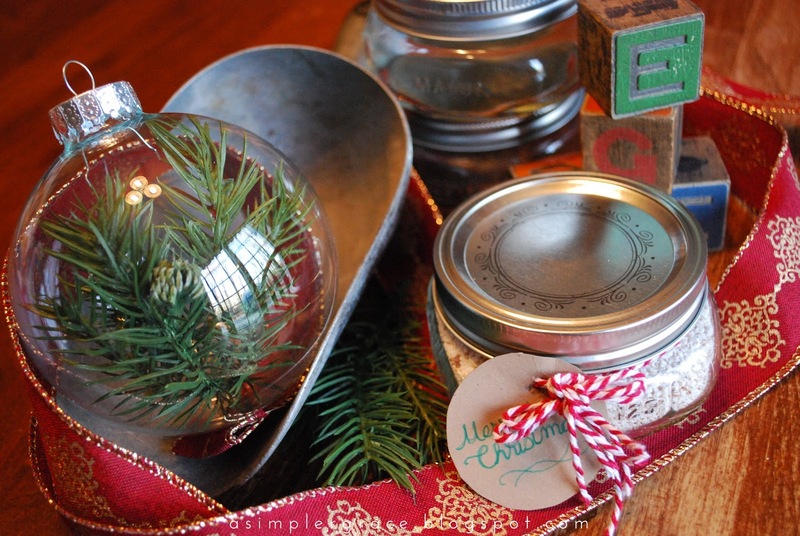 Whether you make these for the girls at the office, the neighbors or your kids' teachers, this simple DIY project will cover all your gift-giving needs in one. One thing I love giving the women in my life are bath and body products, but they can be pretty expensive if you are giving to a large group. My solution is to make my own products and packaging them up in cute little jars and tins. It is the thought that counts, after all, right? 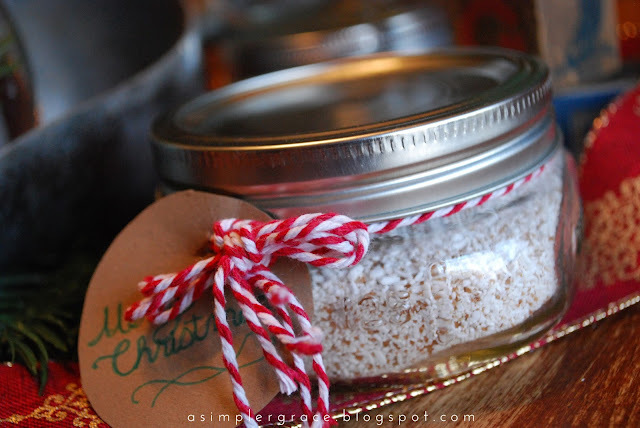 To make these festive bath salts, you'll need a few simple ingredients. I made a small batch, but the recipe can certainly be doubled or tripled according to your needs. When you mix the bath salts up, you can do one of several methods. If you're making a small batch, you can combine the ingredients in a zipped plastic bag or a small bowl. If you are going to be making a larger batch, it's best to put the ingredients in a food processor to ensure the oils are even distributed. I found it was easiest to combine all the dry ingredients first, then adding the oils at the end and stirring/pulsing them to cover all the salts. When you have this done, simply pour them into your mason jars using a funnel. The fun part is adding the special touches. 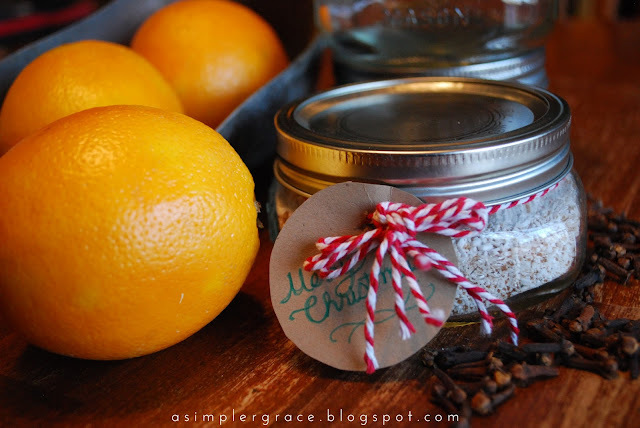 Whether you want to tie a pretty holiday ribbon around the jar or create custom labels, go all out to make them look homemade and add your personal style. I found some pretty red and white baker's twine and made a label out of kraft card stock, but the options are limitless! If you enjoyed this easy holiday project, you should hop over to the main page for the Creative Christmas Blog Hop and have a look at the other tutorials! 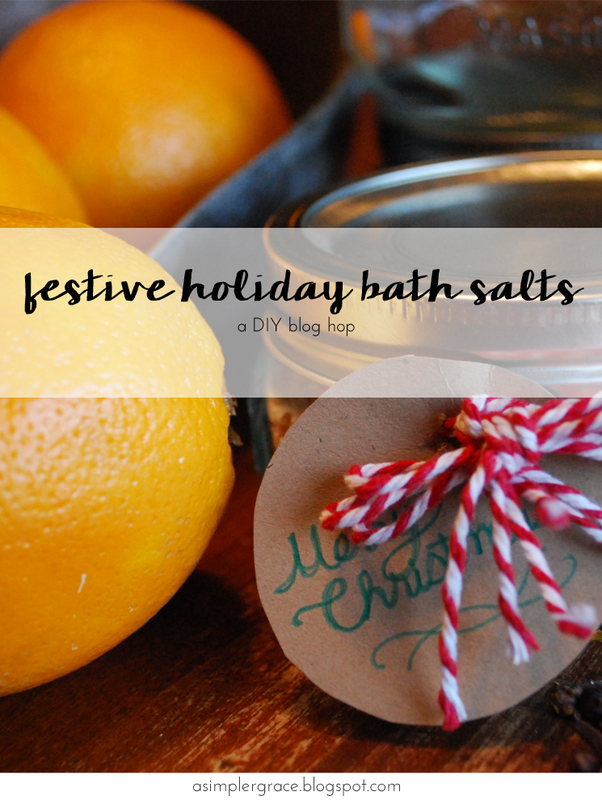 The post DIY Festive Holiday Bath Salts first appeared on A Simpler Grace. If you enjoyed this article, please feel free to share it with your friends! Lecy, I would LOVE to receive a gift like this! I usually buy Bath & Body hand sanitizer for all of my kids' teachers (partly because it's cheapish) but maybe I'll try something like this instead! This looks so simple that even my kids could help which is a plus. Thank you for such a fantastic idea! Your photos are phenomenal! Also, I love this idea for a hostess gift or for teachers, neighbors, or even friends! Thank you so much for this idea! I'm having a craft party next month and always love to give out little favors for those that attend. I think this would be perfect! Such a sweet gift idea! Thanks for sharing this! Merry Christmas to you! Lyn, YES! Kids would love to help make these. I've also found that you can swap the oils for other scents to make your own fun mixture. One of my favorites is peppermint oil and a little bit of organic cocoa powder to make peppermint hot chocolate salts. Thanks so much for coming by and for your sweet comment! Teresa, thank you so much. That's so sweet of you to say! You're right - these would make a good hostess gift. I know a few brides who have whipped up a similar version of this recipe and had given them to their bridesmaids as part of a spa-inspired gift basket. 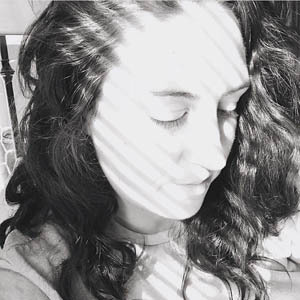 Thanks for coming by and for hosting this fun blog hop! I'm definitely adding this to my homemade bath and body to-do list! Sweet orange essential oil is my favorite. I'm going to have to pick up so many supplies after this blog hop. haha! Thank you for sharing! Love this idea! Homemade gifts are the best, especially when they pair with a nice hot bath. Thank you so much for sharing! Macy, you are so right! No gift is more luxurious than one of relaxation. Thanks for coming by to check out my post and for leaving your sweet comment!